But perhaps the most important things I got from my mama (for this recipe at least!) was my love of experimenting with food - and my love of caramel. To the point where I kinda sorta hid a jar of caramel I brought back from Louisiana because I knew she'd try and devour it all before I got a chance - and just to further prove my point, she's currently in the kitchen making herself a caramel latte. 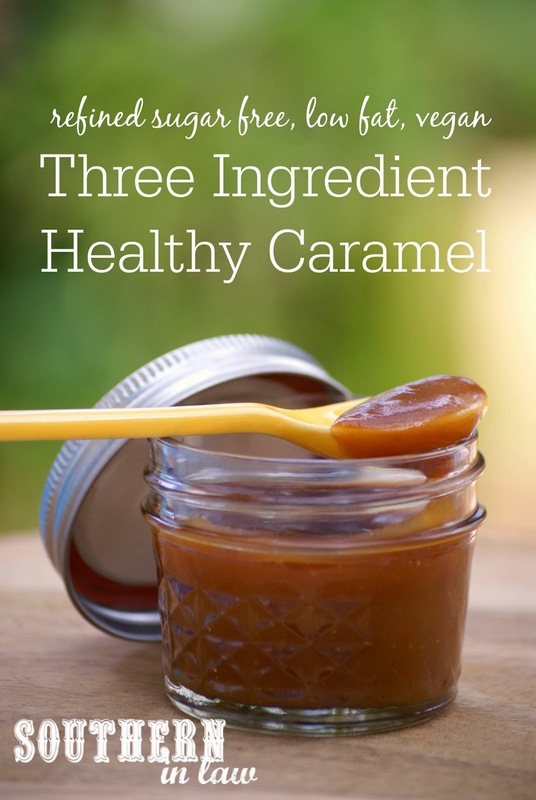 It was that love of experimenting combined with my love of caramel that created this recipe. A caramel so delicious and so incredibly simple that I'm pretty sure the sound I heard when I put the first spoonful in my mouth was angels singing. That or my brain imploding from deliciousness. I kid you not, this recipe is ridiculously simple - you really can't mess it up... unless you burn the maple syrup... but then I guess you could just call it a burnt caramel sauce? That's a thing, right? But even burning the maple syrup would take a lot of effort - because I may or may not have been distracted whilst making the last batch and it still worked! In a small non-stick saucepan**, mix together your peanut butter and maple syrup over a medium-high heat. Bring your peanut butter mixture to the boil (it will be bubbling) and cook for about 1 minute, allowing your mix to turn a light golden colour. Stir in your milk, mixing until your caramel mixture is smooth and combined. Allow your caramel to reduce to your desired consistency, stirring regularly to ensure everything is mixed together and heating evenly. 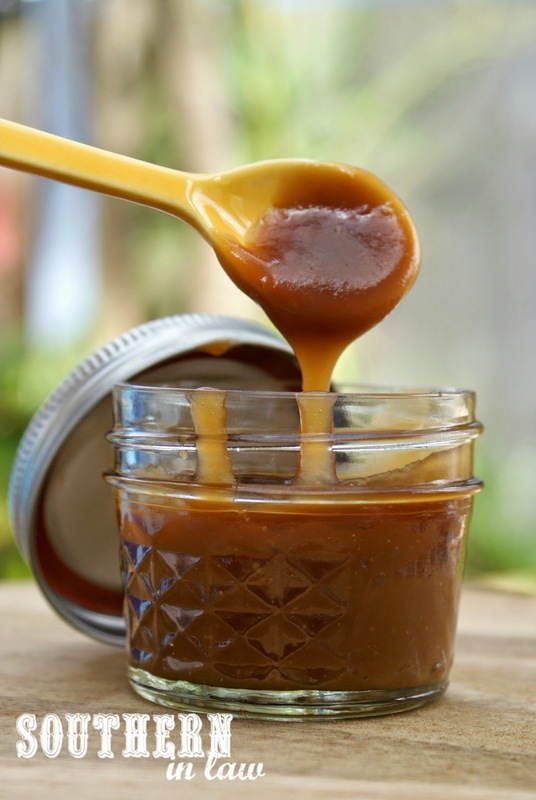 Pour into a clean jar or container to store or serve immediately if you'd like a hot caramel sauce! Truth be known, I ate the first jar of this caramel straight of the jar with a spoon so it didn't last very long at all, however, our test jar stayed perfectly fine for a week at room temperature before it was devoured. I prefer not to put this sauce in the fridge as it gets too thick, however, if you're concerned about it spoiling feel free to store it in the fridge and heat it up or use as needed! *You can use crunchy peanut butter but you'll just have little bits of peanuts in your caramel sauce. If you can't eat peanuts or don't like peanut butter, we also tried this recipe using almond butter and cashew butter and both worked perfectly! But tell me, what's one thing you got from your mama? And are you a caramel fan too? First delicious pastry, now this?! I have fallen in love with your blog! Haha, both recipes are so so good - and you're so sweet! Oh wow! 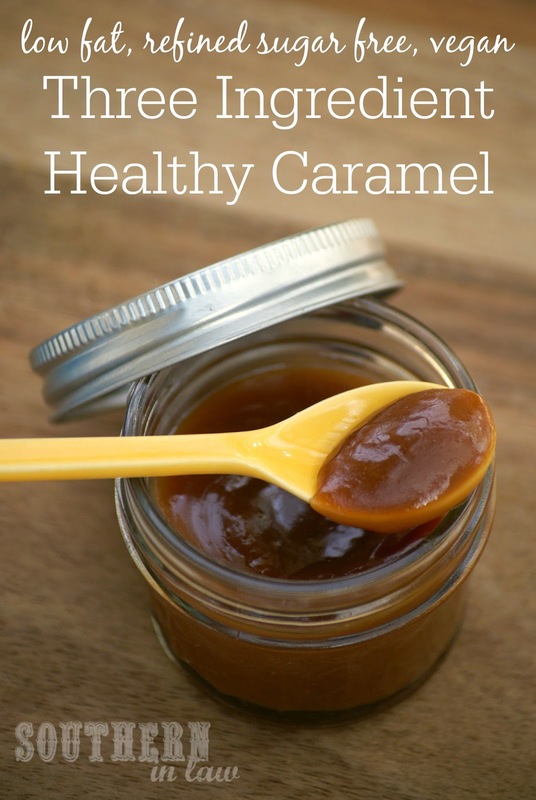 I always avoid making caramel as it usually involves thermometers, pounds of butter and a million steps but this is so easy and so healthy too!!!!! Need to make this! You and me both, Ellie! 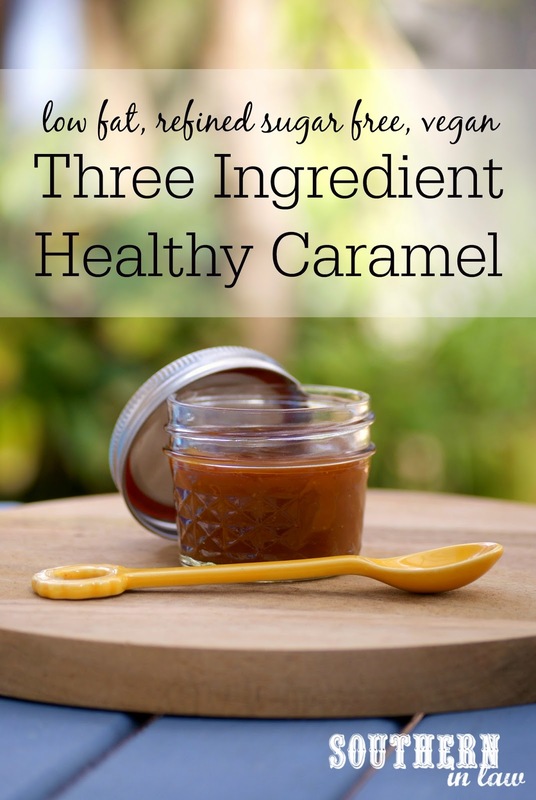 That was exactly the reason why I wanted to come up with a super easy caramel recipe! Haha, Nathan - you and me both! Enjoy!! Hey Kristy, thanks for sharing! Do you think this caramel sauce is thick/sticky enough to make caramel apples with? I've never made caramel apples (or even eaten caramel apples, to be honest!) so I have no idea what type of consistency you need. Does it need to set hard? I have a feeling that this caramel would probably slide off the apple as it's a smooth surface but I could be wrong - perhaps try it as an apple dip? Does this taste like peanut butter at all? The alternative if you're not a peanut butter fan is to use almond butter which will give you a slight hint of almond flavour but a buttery caramel taste. Would raw honey work in place of maple syrup?